Hello there everyone, well this weeks Zomtober painting entry is a little late by a day, but here they are. Yesterday was pretty busy, so I wasn’t able to get anything done or posted, so sorry my bad! These are the first of the pack of old glory 15mm zombies I got a few months ago,, and I must say that I love the sculpts and sheer variety in the packs. Even so I’m not a big fan of zombies with weapons, I kinda like the cleaver dude. All in all great sculpts with these zombies. Well, bust today too, so no long post at all, so ciao for now! Zomtober 2013: Grinning Skull gets ready to share in Zomtober madness! 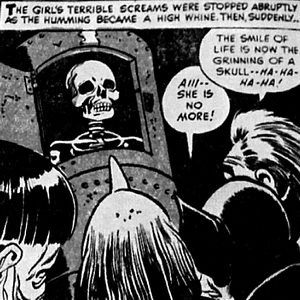 Zombtober Extra: My Horde, my horde, oh lordy lord! 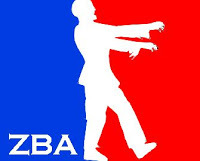 Have You Heard About The Zombe Project? 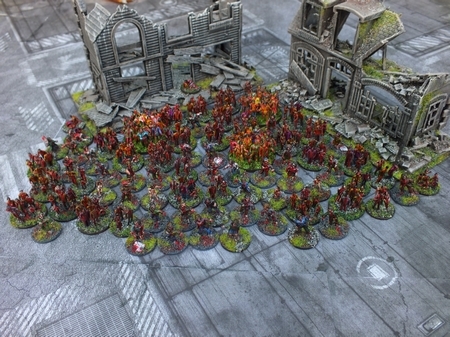 Zomtober Extra: My Horde, my horde, oh lordy lord! 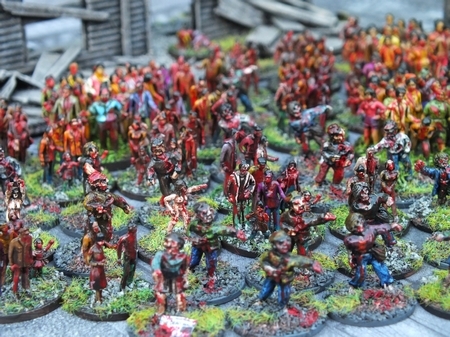 Well, it’s not really another Zombtober entry, but I thought I’d show a bit more 15mm zombie related madness, this time I wanted to show you my still growing herd of walkers in the scale. 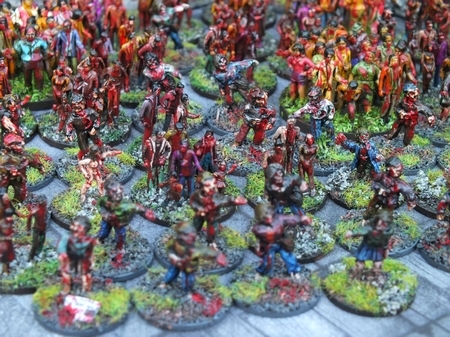 It’s made up from all of my finished zombies, small and larger sizes to represent human (or zombie) diversity. I’ll be back later with some more Zombtober inspired zombie themed stuff, and obviously later in the week with my next Zombtober entry. Finally it’s time to start zombie wargaming in a new scale, yes Pendraken have released the new scifi revamps, which includes the much anticipated zombies and survivors! Now I just need to start thinking about making some appropriate scenery in 10mm and getting some of these bad boys! If you don’t wargame the apocolypse, then I forsee this could be an ideal low cost way to get into the genre, especially as they are cheap as chips!! 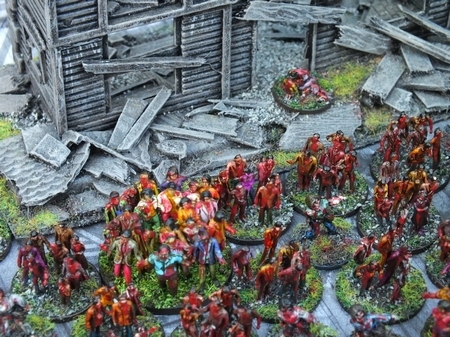 Ok, so it’s not 15mm (Like I harp on about all the time) but it is still zombies, so all is forgiven!! 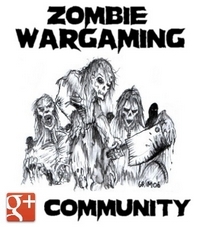 As for a ruleset, most would work with a bit of jiggling around, but I’d recommend USE ME ZOMBIE DAWN ( as it’s the one I play) You can read my review here if you want to take a look! 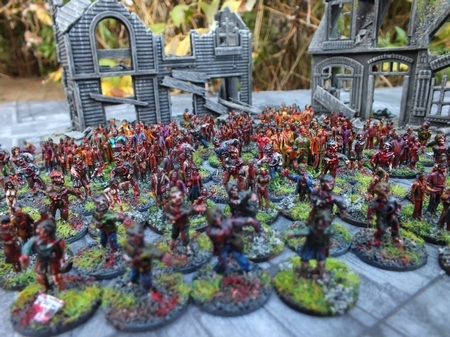 Also there is an army/bundle available if you want to start 10mm zombie gaming, for the great price of £13 for 60 assorted zombies and dogs, and 25 survivors, thats plenty if you plan on skirmish gaming with them, you might need a few more if you want to base them in multiples and go all guns for sheer numbers! Another great figure released in the scifi revamp is this Grey alien, as usual I see the implications in 15mm gaming, and I think at 12mm high he’d make great minions for the whole plethora of greys already available from lots of 15mm manufacturers. Unarmed civilians, technical personel and so on can all be achieved with this figure, I know I’ll be getting a pack of these too on my next order to join my small advance force of greys (plus death ray UFO) If you really have to use them in 10mm scale gaming (god forbid! :)) they’d be cool for that too, and much of the 15mm stuff like saucers and drones will work equally well too! Teaser poster of The Walking Dead, Season 4 revealed! Ion Age reborn! 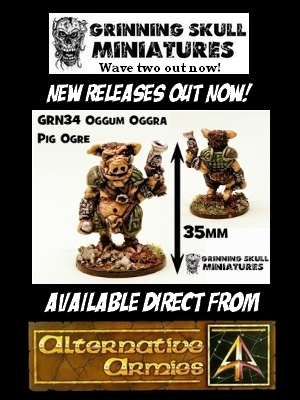 Great news from Alternative Armies and 15mm.co.uk! 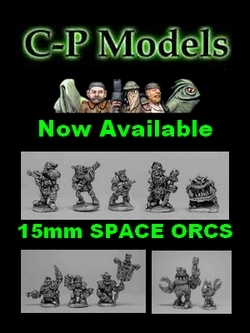 I just wanted to reblog the latest news from AA and 15mm.co.uk, a great bit of welcome news for us 15mm gamers especially, with a relaunch of their Ion Age universe. Anyway, I’ll let the them explain in their own words rather than me have a go and possibly cocking it up! Today is a special day for it is today that Alternative Armies and 15mm.co.uk would like to announce to all of their lovely customers and fans that there is a new baby in our brand family and its name is www.theionage.com . Its a little chap just now but its gonna grow real fast and if you are a fan of science fiction miniature wargaming with a focus on Space Opera and heroic style rather than a trend of re-hashing a grim and repetitively bland future then The Ion Age is for you. 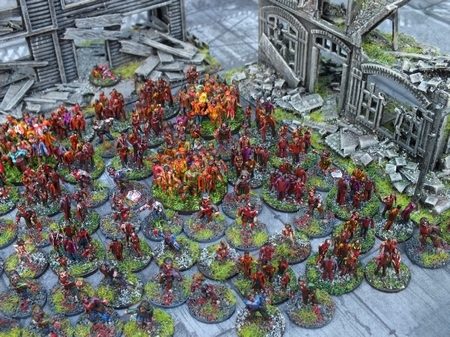 Ever since Gavin Syme first played the original Ion Age game ‘Firefight’ back in the 1990’s he has wanted to put The Ion Age back where it belonged, front and centre, back where it was in the early 1990’s with Alternative Armies. Its taken time and a lot of effort but the moment is now here. Releases and surprises are lined up, rewards and specials all arranged, a rule system in the play test stage. Not only in the popular 28mm scale but also in the booming15mm scale too. A thousand years after the Ban of Prejudice saw the end of the first Khanate War now the Prydian Precinct stands torn by civil war and the once more looming threat of the return of the Khanate. The Prydian Army is now united and led by the beautiful Princess Cyon and it is embattled all around. To whom will go victory in this thrilling universe? Every wargaming brand stands by its miniatures and its artwork and we have our lead designer Sam Croes heading up a stream of releases that will make you grin from ear to ear. We have taken the Ion Age codes from the original HOF range and formed them into the IAF series where we promise that no code will EVER have any doubles in it. That’s right every miniature in every pack is different. Each week we will be expanding the Ion Age with a new 15mm release beginning with two releases this very week. 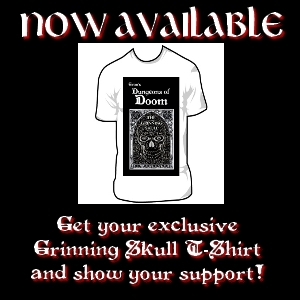 Each release can be bought as a pack or as singles or in multiple packs with a saving; total choice for you. In addition to our new website we have an official blog for all the latest Ion Age happenings. 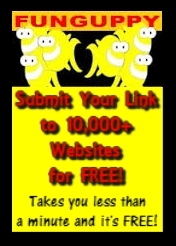 Go along and have a look at: http://theionageblog.blogspot.co.uk/ . 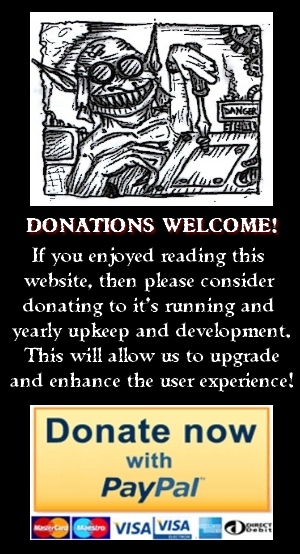 In fact sign up to follow it so you are never behind on the news. We also have a weekly newsletter which will be coming out through our partnership with Mailchimp; you can find a link to sign up for this on the footer of the website or at the top of the blog. Email or Blog or both take your pick for the story of The Ion Age. Each month we will be giving a free miniature away automatically, one for each and every order placed. This miniature is unique and will NEVER be sold in any form or seen again once its time runs out. The first miniature is now online, see it on the front page of website, a kneeling Retained Knight deep in thought before battle. It will be the current miniature until the end of September (because it would be unfair it for only for the remainder of this month eh!) and then another will take its place. Not enough for you eh? well here is something else that we at The Ion Age can offer you. A Rewards Programme! When you place an order on our website you will be signed up for the free programme and points will be credit to you to the value of your purchase. As your points grow then you can redeem them any time for a discount or special Rewards Programme miniatures. At the moment you can get 5% off or 10% off orders or the special Patrol Angis Vignette pack with your points. When you sign up you will get full details and the current offers for points. We begin with the existing Ion Age miniature range on the website but today we have our first brand new release IAF005 Balthazar and Jerome a two miniature 15mm personality pack depicting a noble Retained Knight and his loyal varlet. Great for leading any 15mm force in the Prydian Army or the ranks of any Marcher Baron. 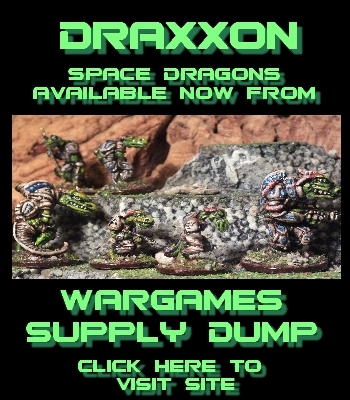 Go along and check out these new miniatures now! Well that is it for our virtual hello and handshake we hope you decide to check us out and like what you see. In fact drop us an email on info@theionage.com if you have any questions. But don’t despair because seeing as how it’s launch week we have to things left to say. 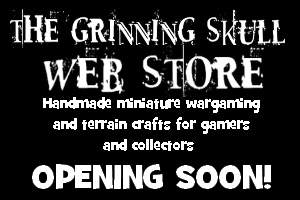 Firstly since we are great guys we are going to stick a couple of extra free miniatures in every order for free until the end of August and secondly our next release will be something that has been on the top of many Ion Age wargamers for years for sculpting in 15mm scale….something our website background art is already depicting. Find out later this week! Indeed, some promising news there, I’ll be watching how this progresses. It’s great to see the guys there are always finding ways to drive the 15mm scifi community happy with innovative and interesting stuff!